In its efforts to meet small business contracting goals, the Bureau of Alcohol, Tobacco, Firearms and Explosives neglected proper market research and record-keeping before awarding sole-source contracts, a watchdog found. “Proper documentation is necessary to show that ATF safeguarded federal funds, furthered the purpose of small business programs, and complied with sole-source contracting authorities,” wrote the Justice Department inspector general in a report released on March 14th. “ATF did not maintain complete contract files and could not demonstrate that it had conducted required market research before awarding several sole-source contracts,” auditors found in a review of 16 sole-source contracts totaling $56 million to nine small businesses in 2016-2017. Non-incumbent awardees who are defending their awards against a bid protest often view sole-source “bridge” contracts issued to the incumbent as something akin to death and taxes — an unpleasant, yet seemingly inescapable fact of life. But a recent Court of Federal Claims (CFC) decision offers an important reminder that these types of contracts are not inviolate. They can be successfully protested themselves when the need to sole-source arises from a lack of advance planning on the part of the agency. Global-Dynamics, LLC v. United States, No. 17-1875C, __ Fed. Cl. __, 2018 WL 2016151 (May 1, 2018) has a lengthy procedural history. The Army issued the solicitation in 2012 seeking registered nursing (RN) services for the San Antonio Military Healthcare System. Since then, the agency has made award to protester Global-Dynamics three times; disappointed offeror GiaMed (a joint venture of the incumbent MedTrust and another entity) has successfully protested three times; and the Army has awarded MedTrust five sole-source bridge contracts. 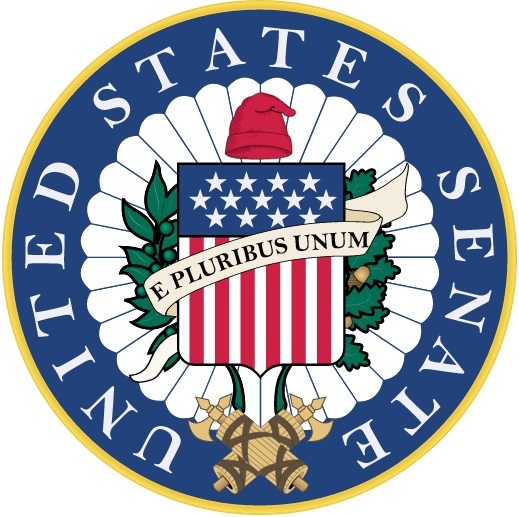 A Senate report calls for establishing a common definition in the Federal Acquisition Regulation for bridge contracts and for a series of reports on how agencies use such contracts. The report was filed in support of S-2413, which cleared the committee level in February; with the filing of the report, the measure could reach a floor vote at any time. With end-of-the-year spending upon us, agencies wanting to experiment with digital solutions can look to a new vehicle from the U.S. Digital Service. Leveraging sole source contracts from the Small Business Association’s 8(a) program, USDS has created a contract exemption program that allows agencies looking to procure services, build a minimum viable product or learn about skills like agile development. 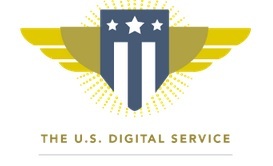 Traci Walker, lead contracting officer at USDS, said the exemption gives agencies the ability to experiment with possible digital solutions, providing the ability to “fail fast,” innovate and move on without the heavy lift of a large project. A Massachusetts man was sentenced last week in U.S. District Court in Boston in connection with recruiting veterans as figurehead owners of a construction company in order to receive specialized government contracts. David Gorski, 51, was sentenced to 30 months in prison, one year of supervised release, and ordered to pay a fine of $1 million. In June 2016, Gorski was found guilty by a jury following a 12-day trial of conspiring to defraud the United States by impairing the lawful governmental function of the Department of Veterans Affairs, the General Services Administration, the Army, and the Navy in the implementation and administration of the Service Disabled Veteran Owned Small Business (SDVOSB) Program. He was also convicted of four counts of wire fraud. The purpose of the SDVOSB program is to provide federal contracting assistance to service-disabled veterans who own small businesses by creating set-aside and sole-source acquisitions for such businesses. In 2006, Gorski established a company, Legion Construction, Inc., after recruiting a disabled Korean War veteran to act as the company’s straw owner for the sole purpose of obtaining federal construction contracts set aside under the SDVOSB Program. When the veteran’s health deteriorated, Gorski added a second disabled veteran, Peter Ianuzzi, to serve as the figurehead owner of Legion. Legion acquired more than $113 million in federal contracts between 2006 and November 2010, after Gorski falsely represented to federal contracting officers that the company was owned and operated by service-disabled veterans. In March 2010, a different SDVOSB registered a bid protest against Legion, alleging that Legion should not have been awarded a contract with the U.S. Department of Veterans Affairs at its medical center in White River Junction, VT. The company specifically challenged Legion’s SDVOSB status, noting that it appeared that Gorski, not one of the veterans, was the person running Legion. After retaining the services of a large Boston law firm to assist him, Gorski filed an opposition to the bid protest that contained backdated documents containing false and misleading information. The Small Business Administration denied the bid protest based on Legion’s submission. Gorski then began exploring ways to siphon money from Legion that would not appear as compensation exceeding the pay of the nominal veteran owner, Ianuzzi, in violation of federal regulations, including Ianuzzi “gifting” him $900,000 and establishing private bank accounts into which the company would deposit $2.5 million for Gorski’s benefit. Before the bank accounts could be opened, however, a federal grand jury issued subpoenas to Legion and several witnesses.